fig.1 - General organization of an object of the 3D scene. 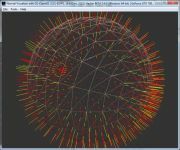 It is necessary to understand the structure of the objects handled by Demoniak3D in order to better use the various available nodes (or XML elements) for the realization of a HyperGraph. All these concepts are in direct relation with the oZone3D engine, key-stone of Demoniak3D. The specific data vary according to the type of object: a mesh will have a list of vertices and faces while a light will have ambient, diffuse and specular components. Each object thus has its own or specific data which will be used during the scene rendering process. The common data are general informations which every object includes, such as its name, its position, its rendering state. All the objects have jointly a structure called shader (not to be confused with a vertex or pixel shader!). The shader is a concept that gathers all the informations and data which will define the final appearance of the object when rendering is displayed on the screen. A shader is a states machine in the sense that the final rendering output is related to all the states of the shader at that rendering time. Among the most significant states, one can quote lighting (does the object react to the light? ), texturing (for texture application), blending (mixture of colors), rendering mode of the polygons (wire or solid mode). 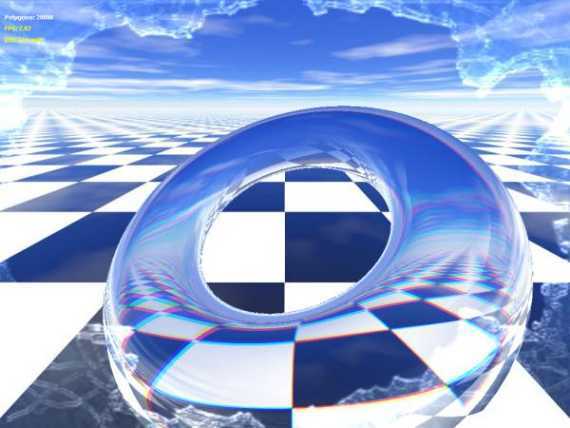 A shader consists also of a fundamental element that can be found in almost all available 3d softwares of the market: the material. The material is a structure which more precisely defines the physical characteristics of the surface of an object. These characteristics are mainly used for lighting calculations (ambient, diffuse and specular components). For a detailed explanation of light and materials, please refer to the Lighting and Materials. tutorial. A material contains also textures whose texels (texture element) will modulate the final appearance. It is possible to assign 4 textures per material in order to get all the multitexturing based effects. But it is necessary that the graphics controller has at least as many textures units (texture unit or "TU") than the number of textures really attached to a material. In general, all the recent graphics cards have 4 texture units. The following image, resulting from tutorial 51, shows a sea-bed with cautsics. 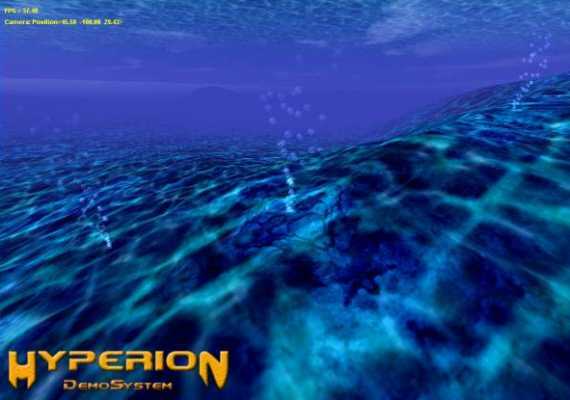 This effect has been made by using 3 textures for the sea-bed material. 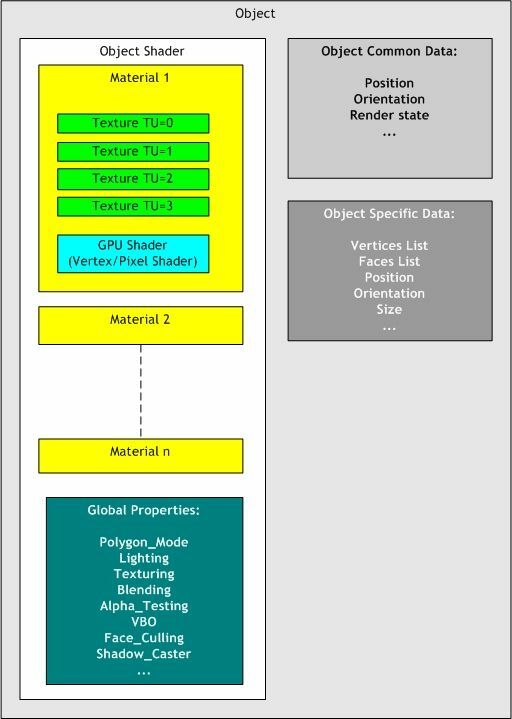 The material contains also another significant element to increase visual realism or simply to develop graphics effects: the vertex pixel shader still called programmable shader or GPU shader. It is at this particular level of an object, in the material, that the developper can attach these famous small pieces of code which make it possible to reprogram the vertex and pixel processors of the graphics controller. 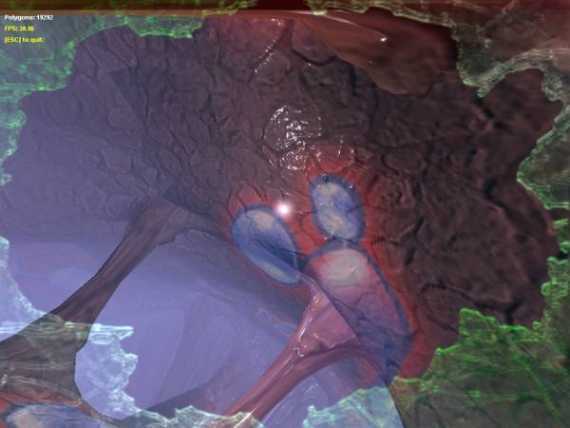 The GPU shaders are regularly used in the Demoniak3D demos. It enhance the visual quality (per pixel lighting) and accelerate geometrical calculations on the vertices (mesh deformation for example). fig.3 - A vertex pixel shader in action. fig.4 - A vertex pixel shader of reflexion / refraction. A shader can contain several materials with no limits except that if too many materials are used for a same mesh, a fall of performances may occur. An example of borderline case (yet not tested) would be to affect a different material for each polygon of a mesh featuring 10000 faces. All the concepts evoked above may directly be found in the nodes of the hypergraphs (shader_program, material, texture mesh...). Page generated in 0.003154993057251 seconds.